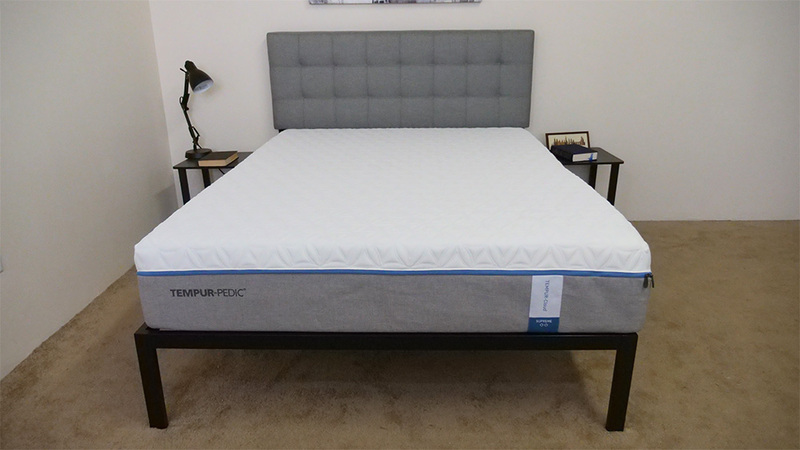 Tempurpedic TEMPUR-Cloud Supreme Review | Memory Foam Bed For You? Over the past two decades, Tempurpedic has staked its claim as one of the most well-known brands in the bedding sphere. Branching out from mattresses into pillows, bases and more, the company has always matched its pursuit for comfort with that of innovation. In spite of this ever-growing suite of products, today I’m training my scrupulous eye on the brand’s flagship mattress, the Tempurpedic Cloud Supreme. Given the bed’s hefty price tag and its claim to be the ultimate in luxurious softness, I’m excited to see just how comfortable it actually is and whether or not it could be the perfect mattress for you! 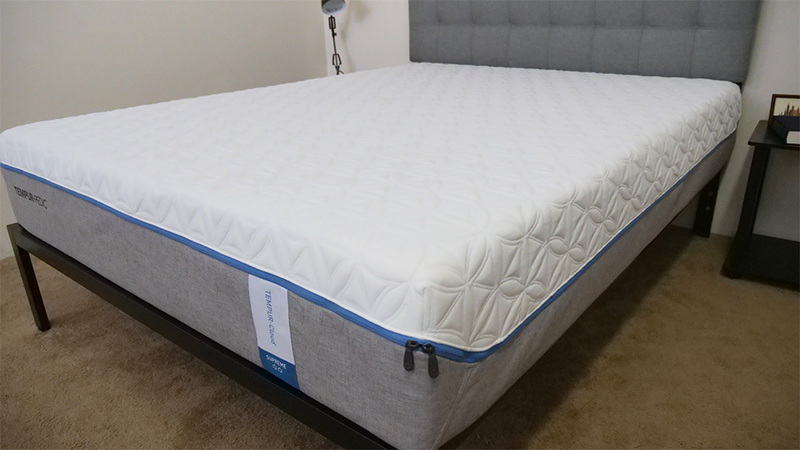 Continue reading below for my full review of the Tempurpedic Cloud Supreme mattress. Don’t have time to read it all? Click here to skip to the bottom and check out my review summary. 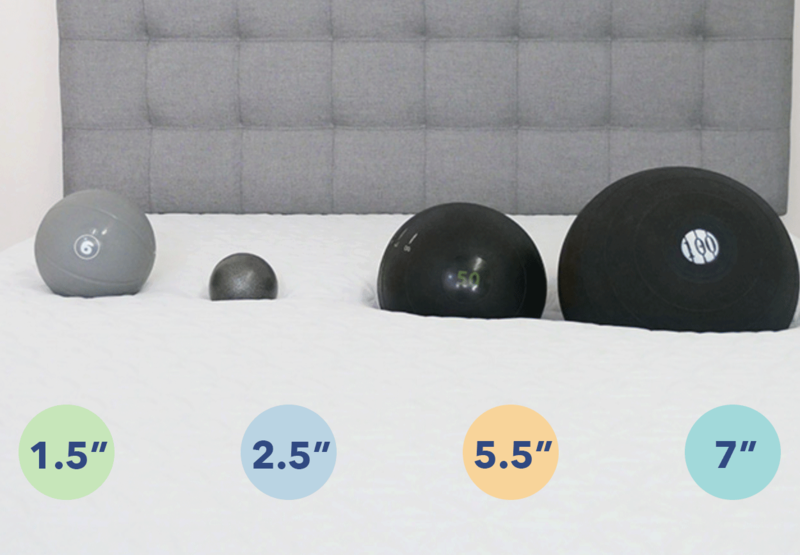 The Tempurpedic Cloud Supreme is built with four distinct layers of foam, measuring up to a height of 11.5”. 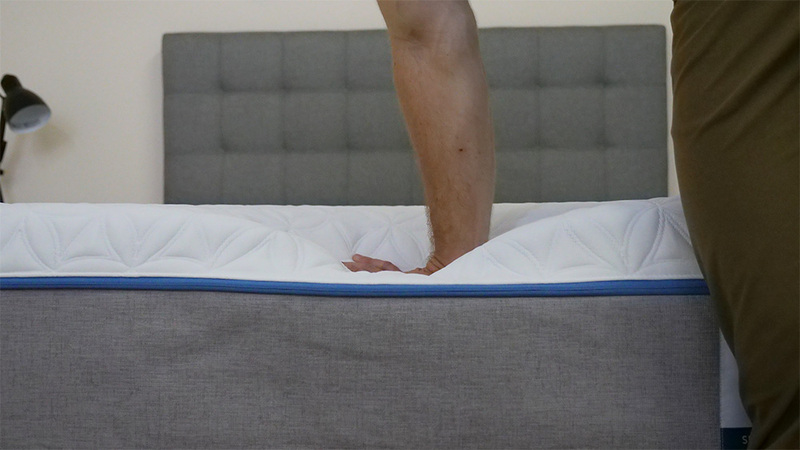 The bed is advertised as the brand’s “soft mattress,” so the use of both memory and polyurethane foam is meant to provide the sleeper with quality pressure relief, body contouring and sinkage. To figure out if these materials perform as they’re intended to, let’s take a closer look at the bed’s different layers. Cover – The cover is constructed from a blend of polyester and spandex, which makes for a soft and breathable feel. The material is also quite stretchy and snaps back into place quickly, ensuring that you won’t experience any bunching as you move around at night. Comfort Layer – The top comfort layer is built with 2” of memory foam, which provides immediate relief to the sleeper. This layer responds slowly to pressure and produces some deep body contouring as soon as you lie on the mattress. Transition Layer – Directly underneath the comfort layer, you’ll find an additional 2” of memory foam. This section is similar to the one above, but is just a touch firmer, functioning as a transition between the soft foam up top to the dense base below. This layer also extends the body contouring of the comfort section throughout the rest of the mattress. Support Layer – Next up, we’ve got 4” of polyurethane foam. This material’s quick to respond to pressure and helps to continue transitioning the sleeper from the memory foam into the denser sections of the mattress. This layer also provides the bed with great support and structure. Foundation Layer – Finally, you’ll find 3.5″ of polyurethane foam. This foundation gives the bed its shape and also supplies the Cloud Supreme with solid compression. After taking a look at the construction of the Tempurpedic Cloud Supreme, let’s chat about the firmness and feel. I started off by applying light hand pressure to the mattress and was immediately interacting with the gentle top layers of memory foam. My hand sunk pleasantly into the material, and I could tell that these sections would provide fantastic pressure relief. Pressing in further, I encountered the firmer support layers, but didn’t experience much of a lift. To continue exploring the feel of the Cloud Supreme, I enlisted three other sleepers to help me test out its firmness. They reported back their findings to me and I assembled their ratings alongside my own on the graph below. I should note that people of different body types and shapes will feel firmness differently, so hopefully our combined responses to the bed will give you a good idea of the firmness range you can expect from the mattress. 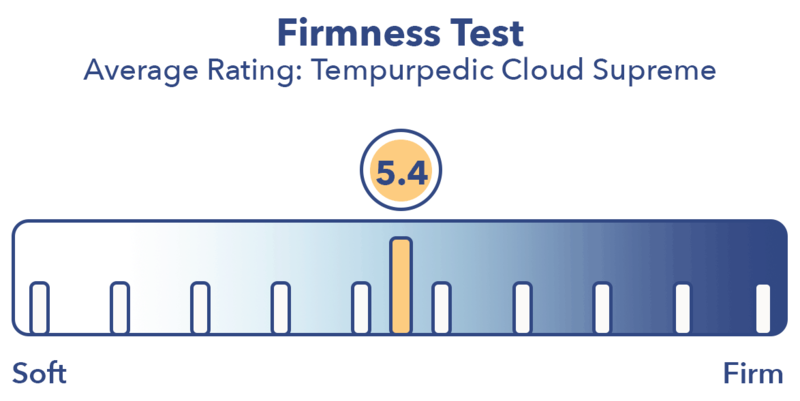 As you can see in the graph, my testers were pretty much in agreement about the firmness of the Tempurpedic Cloud Supreme, giving it an average firmness rating of 5.4. 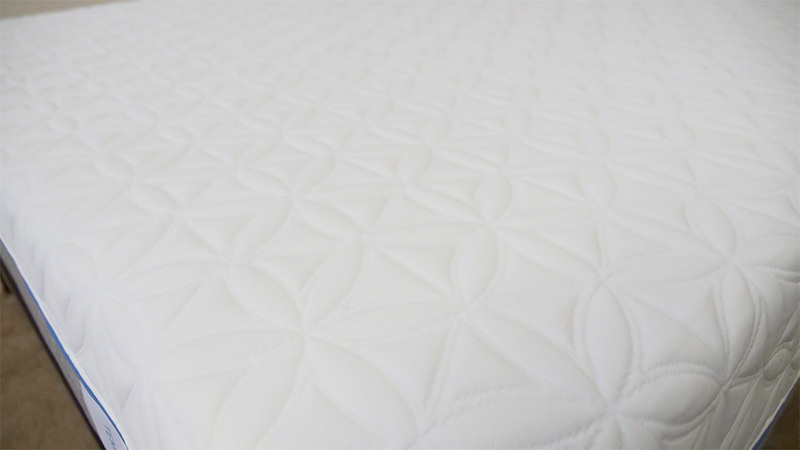 When compared to the industry standard of 6.5 for medium firmness, it’s clear that this is a soft bed. I personally gave the mattress a 5.5 as I found its all-foam construction to make for a gentle, plush feel. As I briefly noted above, there’s not much bounce to the Tempurpedic Cloud Supreme, so you will likely feel as though you’re sleeping “in” the mattress as opposed to “on” it. This may not be ideal for back and stomach sleepers—who need a bit more support from their beds—but could be wonderful for side sleepers who will benefit from the contouring pressure relief. Rather than just describing the feel of the Tempurpedic Cloud Supreme to you, I wanted to give a visual representation of where someone may feel pressure points form while lying on it. To do this, I placed a pressure map on top of the mattress and lied on my back, side, and stomach. You can see the results on the image below where pressure is represented from blue (low pressure) to red (high pressure). Back – I felt some fantastic pressure relief in this position. The memory foam top layers did an excellent job of filling in the space at my lower back and the contouring helped to cushion my spine. Given that there is a ton of memory foam in this bed, it wasn’t super easy to change positions, so there were definitely moments when I felt stuck in the bed. Side – Rolling onto my side, I felt the alleviation of pressure at my shoulders and hips, typical problem areas for side sleepers. The soft foam shaped snugly to the curves of my body and helped to keep me feeling comfortable in this position, even as there was some slight tension at my hips as you can see in the graphic above. 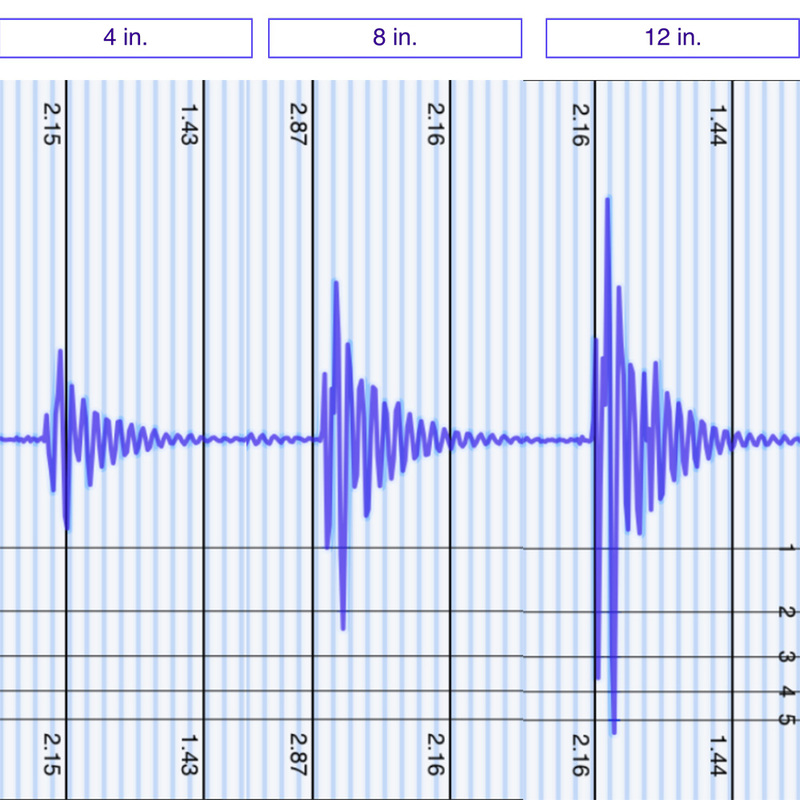 Stomach – While the graphic doesn’t totally show this, I did feel pressure on my stomach. The soft foam caused my hips to lift up and out of the bed, which subsequently sent my back into an uncomfortable alignment. Though this won’t happen with all stomach sleepers, depending on weight and size, it is something to watch out for. 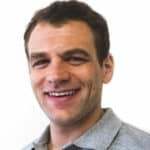 If you plan on sharing your bed with a partner, you’ll want to know what it’ll feel like when the other person gets up to start their day in the morning or sneaks out for a midnight snack at night. 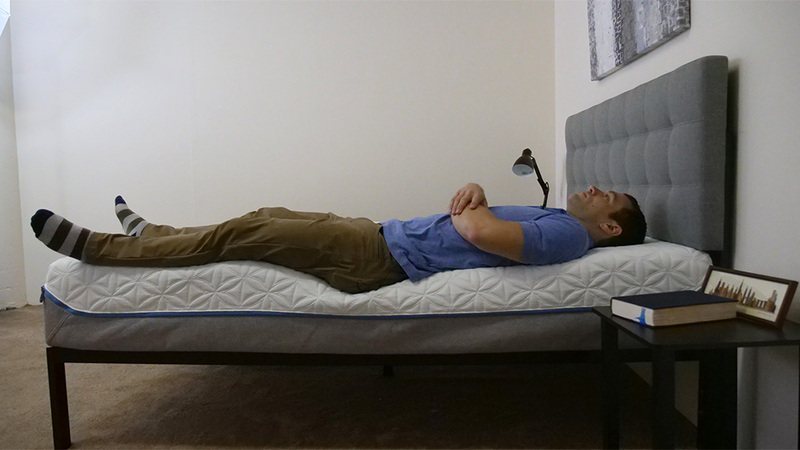 This next test is intended to demonstrate the motion you’re likely to detect from one side of the mattress to the other. As you can clearly see, the Tempurpedic Cloud Supreme does an awesome job of containing motion. The all-foam construction not only dissipates interference across the surface, but works to dampen motion throughout the structure as a whole. Given the results of this test, I’d recommend this mattress to couples, especially to those made up of partners that sleep in different positions. 50 lb medicine ball: 5.5 inches of sinkage. What these results show me is that you’re going to experience pretty extreme sinkage with the Cloud Supreme. This isn’t that surprising when you consider the bed’s all-foam construction and branding as the softest mattress in the Tempurpedic line, but is something to take note of when making your purchase. While the awesome pressure relief and body contouring from this sinking will be great for side sleepers, stomach sleepers may want to go with something firmer. Lying on my back near the edge of the bed, I felt fairly well supported. In spite of the deep compression you can clearly see in the photo above, I was secure at the edge and never felt like I’d fall out of the bed. Turning to my side, you can really see how the top foam layers work to contour and hug the body. I continued to feel secure in this position, but experienced even heavier compression than I did when I was on my back. This didn’t necessarily leave me feeling insecure at the edge, but is something to note. In this position, I wanted to simulate what it would feel like to be sitting on the bed in the morning when you’re lacing up your shoes and getting ready for the day. A lot of foam mattresses experience severe compression in this position and the Tempurpedic Cloud Supreme was no different. That being said, I didn’t feel too stuck here. If you’re convinced the Tempurpedic Cloud Supreme is the right mattress for you, the size and pricing information for the mattress are below. IS THE TEMPURPEDIC CLOUD SUPREME MATTRESS RIGHT FOR YOU? Now that we’ve taken a closer look at the Tempurpedic Cloud Supreme mattress, it’s time to discuss who it’d be a good fit for. Want a memory foam feel – If you’re on the search for a bed that exemplifies a classic memory foam feel, look no further than the Cloud Supreme. It features great body contouring, excellent sinkage and all the wonderful pressure relief the material is known for. 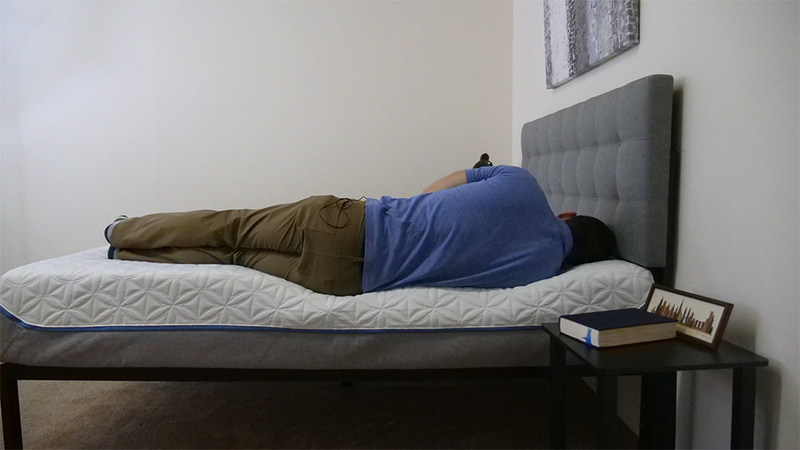 Side sleepers – As I mentioned throughout the review, this mattress could be perfect for side sleepers. The thick layers of memory foam help to cradle the shoulders and hips, providing these sensitive areas with ample support and relief. Looking to buy from a known brand – If you want to buy from a brand with some name recognition, the Cloud Supreme could be a good choice for you. 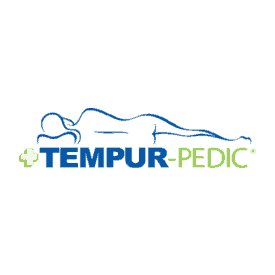 Tempurpedic is a very popular company and has been trusted by sleepers across the globe for years. 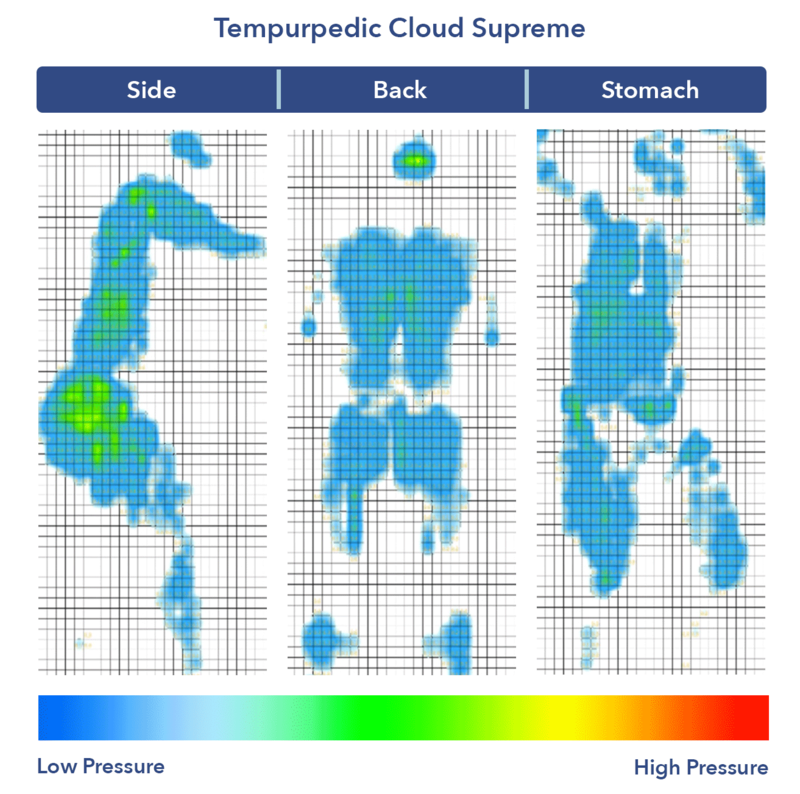 For more information on the Tempurpedic Cloud Supreme, check it out here! The Tempurpedic Cloud Supreme Breeze is a classic high density memory foam mattress. It has a medium soft feel at a 5 out of 10, where 10 is the most firm. The contour and hug is pronounced and deep. As far as memory foam goes, it’s on the cooler side. At $3,200 for a Queen it’s the most expensive mattress I’ve tested. 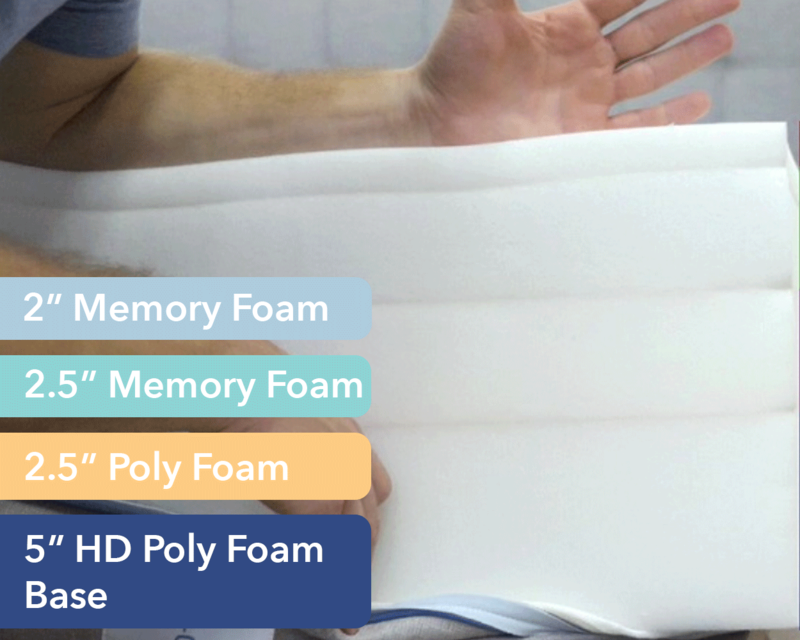 If money is no object and you absolutely love memory foam this can be a good choice.